A single manned yacht that had run aground outside Portsmouth Harbour was pulled to safety on Friday night by a volunteer lifeboat crew. 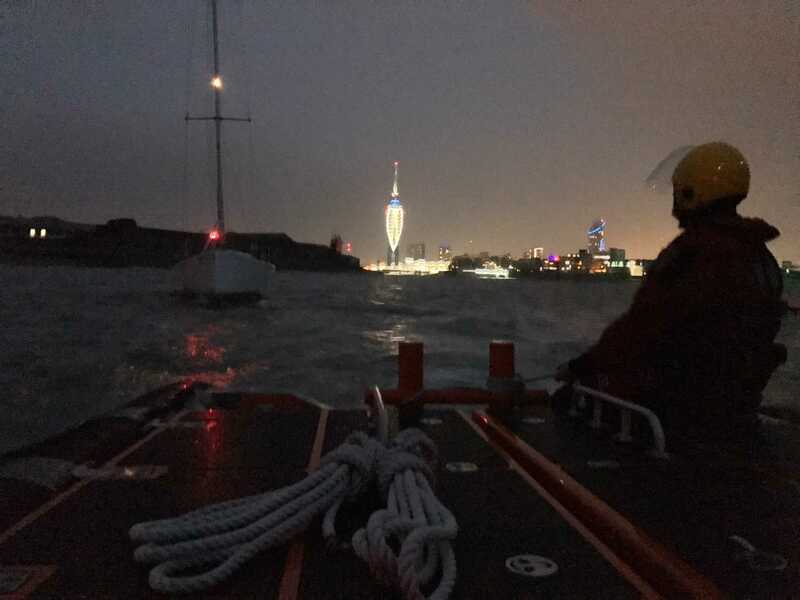 The 11m vessel had run aground on Hamilton Bank just outside the entrance to Portsmouth Harbour and was stuck fast when volunteer lifeboat crews from Gosport & Fareham Inshore Rescue Service (GAFIRS) were paged by UK Coastguard. GAFIRS were called out at 1630 on Friday afternoon and were soon alongside the vessel, which was perilously close to Haslar Sea Wall. A towline was quickly attached to the casualty vessel to ease the pressure from the breaking waves, and secure the vessel from hitting the shore. Coxswain Brian Pack said: ‘When we arrived at the scene the vessel was stuck fast on Hamilton Bank just outside the harbour. We attached a tow line to the vessel and held it steady so it wasn’t uncomfortable in the breaking waves, and slowly tried to pull him free as the tide rose. 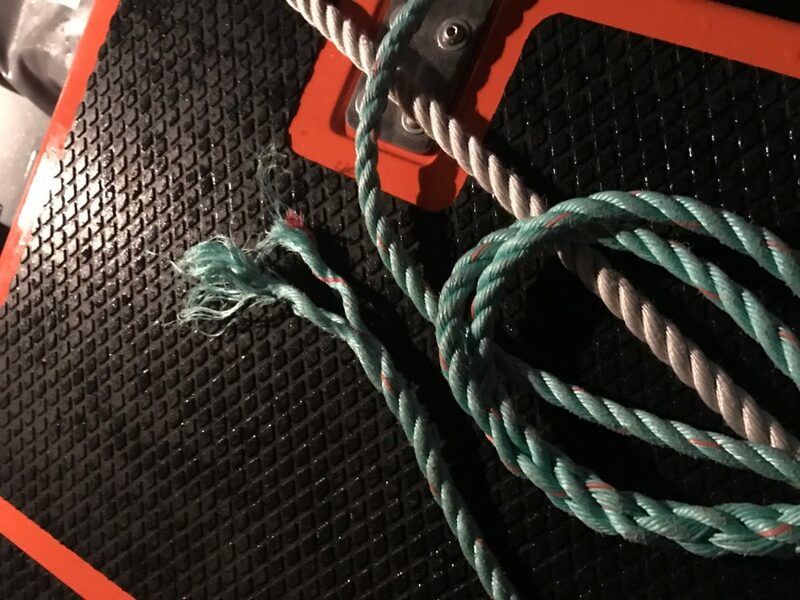 ‘Unfortunately, due to the difficult conditions and the weight of the yacht the line the vessel had attached snapped and then our tow line was shorn on a sharp edge on the bow of the vessel. After ascertaining the yacht had sustained no damage it was able to continue on its passage back to its home port in Cowes, Isle of Wight. The rescue was GAFIRS’ fourth of the year. Last year the independent lifeboat station, based at Stokes Bay, Gosport, attended 112 incidents. The crews are available to the Coastguard 24 hours a day, 365 days a year.